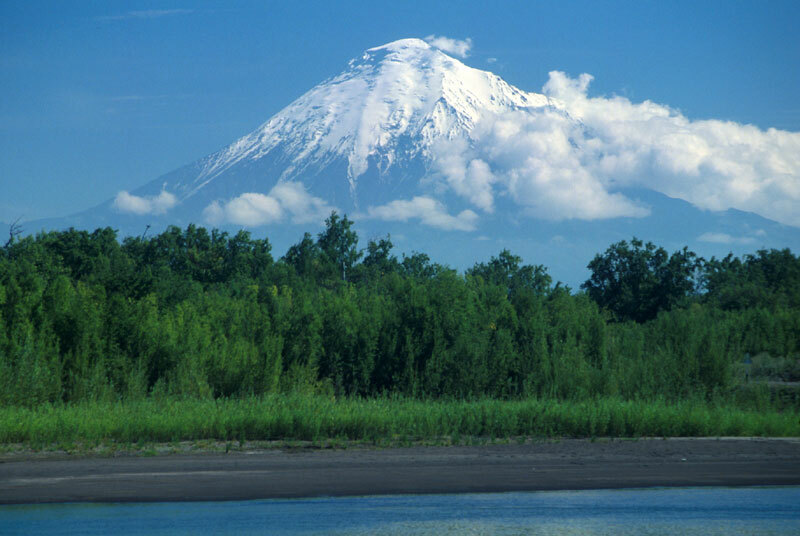 The volcanoes of Kamchatka are part of the UNESCO Natural Heritage List since December 7th 1996. 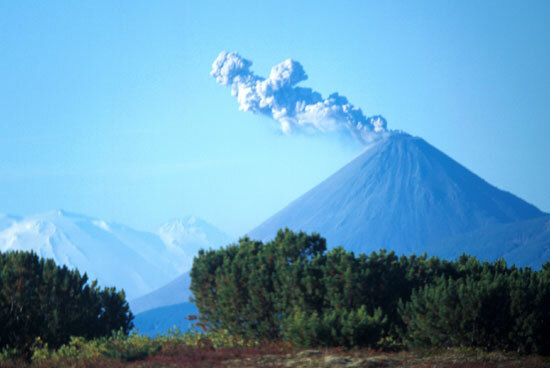 There are over 300 volcanoes on Kamchatka, 29 of which are currently listed as 'active'. 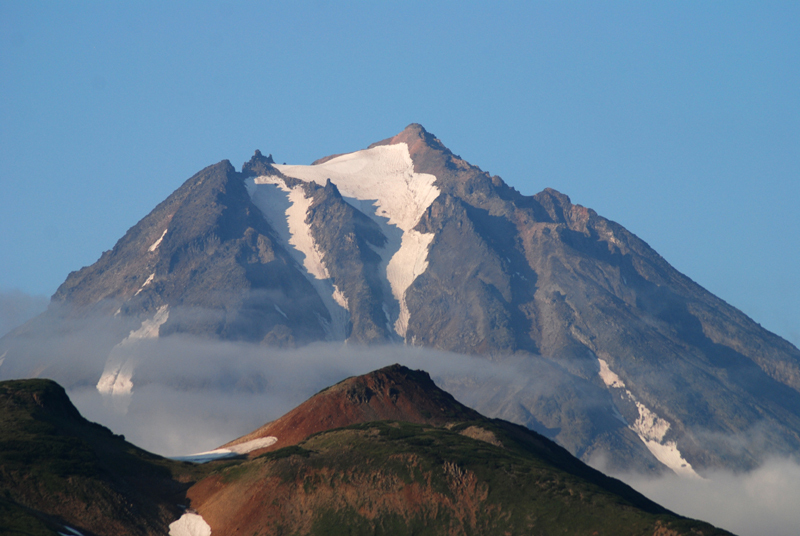 Karymsky with ash cloud (September 2002). Shupanova and Dzendzur in the back on the left. 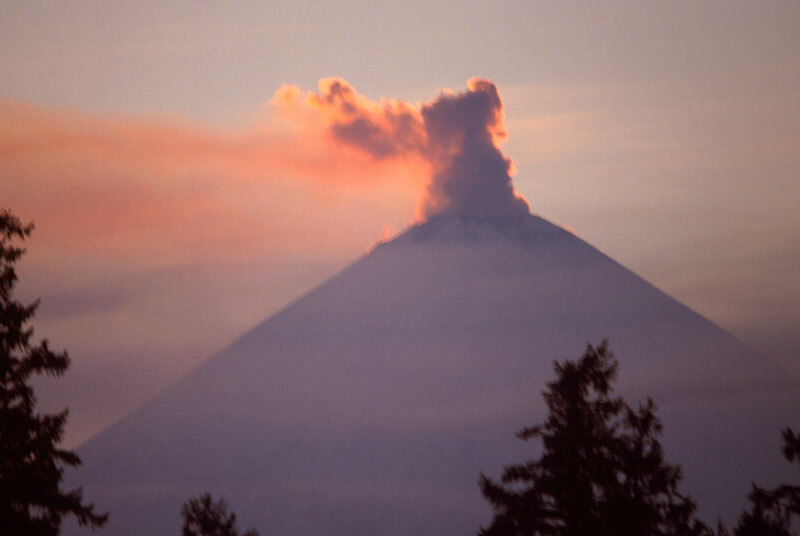 Karymsky is among the very active volcanoes, since 1996 it keeps having eruptions. Copyright © 2002 Waltraud Schulze & Andy Heßberg.